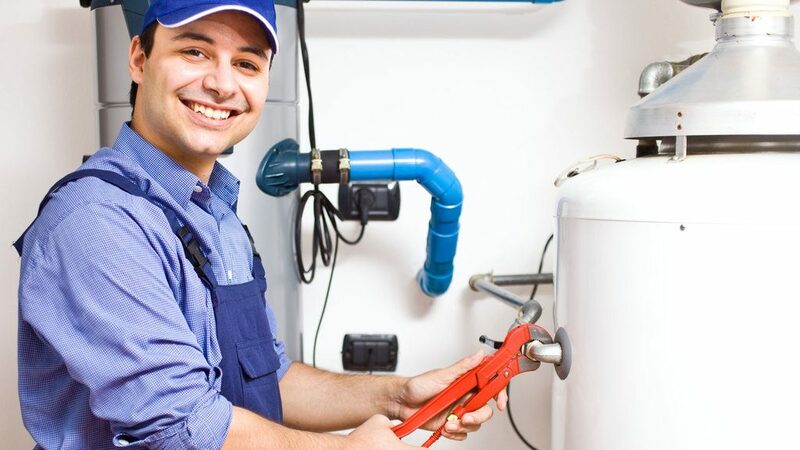 Are you ready to grow your plumbing business? Did you know that plumber SEO is one of the most cost efficient ways that you can get more customers? In this article, I'm going to show you the basics of how search engine optimization is a great fit for your business and getting your phone to ring. Plumbing is always in high demand. That's why it's a great time to have a plumbing business and an even better time to get customers online. The trick is that your marketing has to outperform your competitors' marketing. 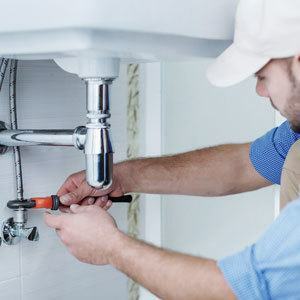 There are many different methods that you can use for plumber marketing, but at the top of your list should be something called SEO. Search engine optimization is simply the practice of making your website look better in the eyes of Google, so that it can rank higher, get in front of more people, and get you more customers. Not only should your website look great for visitors, but you also have to make it look great for Google. You are probably asking "well how do you do that." Don't worry, I'm going to break it down so that it all makes sense. One thing you have to keep in mind here is that you should follow Google's guidelines so that you don't break the rules and get your website penalized. The most important thing to know is keywords, which is what people type into Google when they want to find a plumber. Usually, most people tend to type in a combination of their city plus the word "plumber". The next trend is for them to type in their city and a specific problem that they are trying to solve, like "water heater". You need to do proper keyword research here to determine which keywords are the best ones to target on your website. The two pieces of data that you want to find out are searches per month and also difficulty for each keyword. The higher the searches per month, the better, but you want to go after lower difficulty keywords so that you maximize your investment. If you need some help figuring out what your keywords should be, give us a call so that we can help you. We have access to the best keyword research tools and can take a look over the phone during a strategy call to give you some good choices for your business. That is a pretty big list, but it covers more than 200 ranking factors. However, each factor is weighted differently, which simply means that some factors are way more important than others. For example, the biggest factor is something called backlinks. Backlinks are where other websites out there put a hyperlink to your website on their site. They count for around 29% of your ranking result, making them by far the biggest factor. Google continuously visits all of the websites on the internet and tallies up which websites are linking to others. It sees these links as a voting system. You want more and better votes than your competitors. That's why you want high quality websites linking to your website, since it counts as high quality votes. The catch is that this needs to happen normally, so that you don't break Google's guidelines and get into trouble. Don't fall into the luring trap of buying links, since that is against Google's policy. You can get your site in a lot of trouble, in which it may never recover. If anyone is trying to sell you links, you better run away fast. The next biggest factor is something called on-page optimization. This is where you make your website look great to Google. There are several things that you can do on each page of your website to make sure that this factor is taken care of properly. You want to make sure that the page still looks good to readers as well. This factor accounts for 24% of the result. The next item is creating and keeping your Google My Business page up to date for your plumbing business. You should verify your address, and add as much information about your business as possible here. Another factor is citations. A citation is where another website lists your business name, address, and phone number, and links to your website. You want to have many of these that are accurate and precise. Google also cares about great reviews. It wants to give searchers great options that other customers had a good experience with. You should be delivering great products and services and asking your customers to leave you reviews. There are some services out that that make this much easier. If you take good care of the above factors, then you should be far ahead of your competition. You could of course go even further and make sure that your website is personalized around your brand, and that you have a social media presence that shares content. Ready to get started with your SEO? We can help. Just click on the button below to set up an appointment or give us a call. If you want to learn even more about SEO, check out our guide. The problem with SEO is that it takes a while before it starts giving you a great return for the money that you put into it. Typically, you could be looking at 6-12 months before you get results. Many times, business owners try to take short cuts and buy cheap SEO that promises fast results. The problem here is that those companies are implementing hacks that Google does not like. Usually, those websites get caught and then penalized, which is very hard to heal up afterwards. However, when SEO is done right, and you follow Google's guidelines, you can get some amazing results that last a long time. The only downside is that it takes a while. That's why I usually recommend to clients that you do Google Adwords starting out, and if you have the budget, you can do SEO in parallel. That way, after a year, your SEO will kick in and you can wind down your Adwords monthly spend rate. Some clients choose to run both side by side to maximize the number of leads that they are getting. SEO isn't complicated, but it is a lot of work. You need someone that that is an expert and keeps up with the latest rules. You should also watch out for cheap SEO, or SEO that promises great results fast. These are always bad signs of practices that can harm your website. Instead, it's best to find an SEO professional that can work with you to show you the value of getting more customers that exceed the cost of doing the SEO. You want a good return on your investment for marketing dollars. We can definitely help you out in that area. With our experience and expertise, we'll walk you through the process and get your business growing the right way. All you have to do is a click on a button below to schedule an appointment or give us a call. It's super easy to get started.